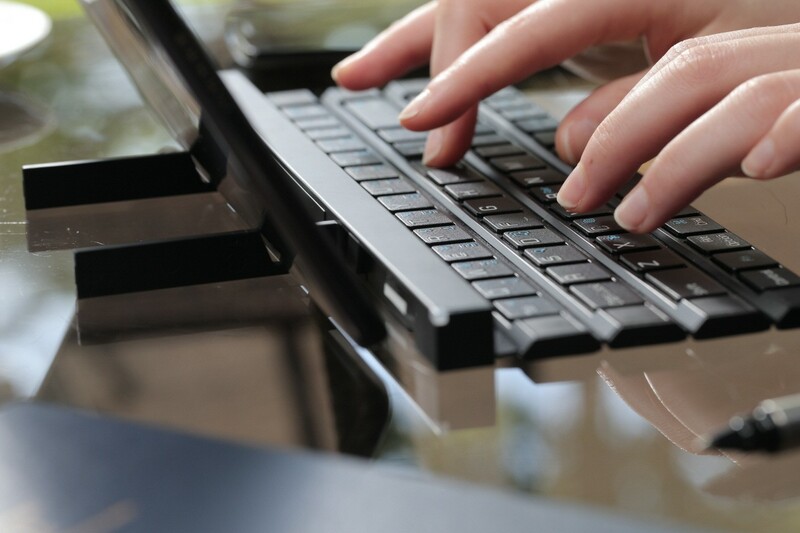 I'm always looking for that perfect Bluetooth keyboard — one that is small and easy to carry, but large enough to comfortably type on, compatible with Android and iOS, and can connect to multiple devices at the same time. See, I always envision myself as the free-spirited type of person who goes to a cafe, orders a cappuccino, and pulls out a tablet with a keyboard to get work done as if I'm too hip to work at an office but too busy to wait until later. 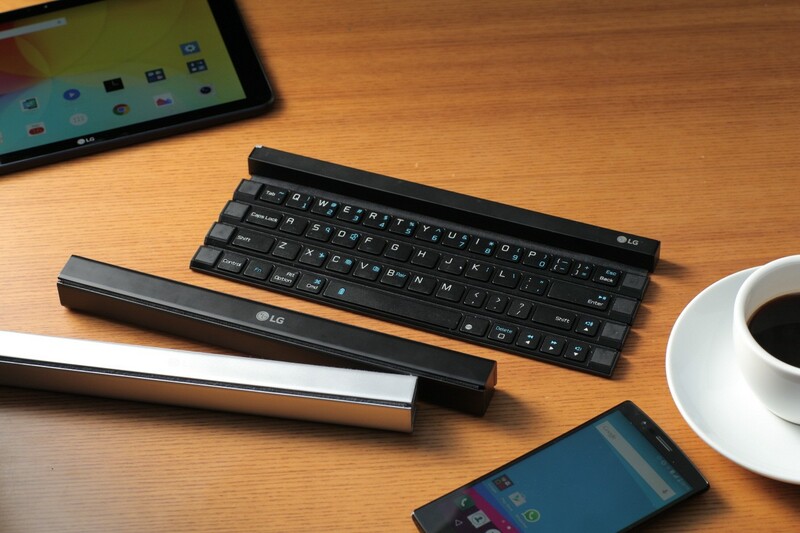 Suffice it to say, I'm never that cool, but I think LG may have gotten the closest to my fantasy with its Rolly Keyboard (model KBB-700). The Rolly is a Bluetooth 3.0 keyboard where the 4 rows fold on a central "stick" (even LG uses quotes in its announcement so I'm not the one to blame for that innuendo) and seem to magnetically attach on each side to stay in place. Once folded, it's easy to carry in any purse or bag. 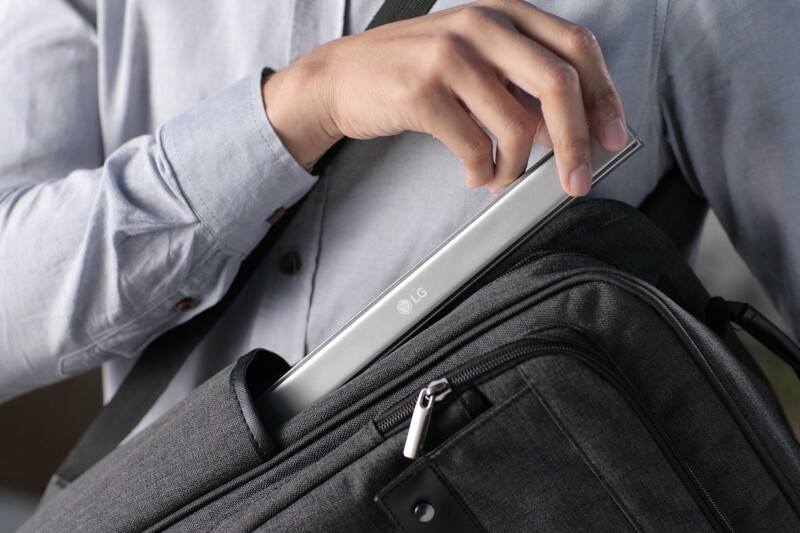 LG mentions pockets too, but from the looks of it, you'll need really deep pockets to hold this one. Must. Not. Joke. About. Stick-in-pocket*. Back to the keyboard, it has a fold-out stand that holds tablets up to 10" diagonally, connects to two devices simultaneously with a shortcut to switch between both, and automatically turns off/on when rolled/unrolled. The keys are 17mm in size, which is almost as much as a regular desktop keyboard's 18mm, so they should be very comfortable to type on. A single AAA battery powers it for up to 3 months of average use. LG explains that the Rolly Keyboard is the first of many accessories it plans to unveil in the future. It will be showcased at IFA and then unrolled to the US in September, followed by "key markets in Europe, Latin America and Asia in the fourth quarter." There are no pricing and availability details yet. * Alternate title: Is That A Rolly Keyboard Sticking From Your Pocket Or Are You Just Happy To See Me?